If you are looking for shades that will help you cut your utility bills, provide insulation for your windows and protection from the sun's dangerous UV rays, your two best choices are cellular shades or solar shades. Both types of shades can lower your heating and air conditioning bills, essentially paying for themselves. Unlike blinds, shades do not have individual slats that move to allow you to adjust the amount of light coming in through a window. Shades will give your entire window sheer, opaque or complete coverage. They can be raised and lowered from top to bottom or bottom to top, depending on your preferences. It is this full-window coverage that provides such stellar protection from the sun, the cold and the heat. Solar shades, as the name indicates, are designed to protect you and your home from UV rays. They are made of material that diffuses sunlight and blocks heat. Solar shades help you maintain a comfortable temperature in your home no matter what the weather. Lower utility bills are listed as the number one reason consumers are increasingly choosing solar shades. Over time, regular exposure to sunlight can cause upholstered furniture, paint and art to fade. Solar shades are a protective barrier. For those seeking to preserve their view without sacrificing protection, solar shades are an excellent choice. Solar shades eliminate glare on television and computer screens as well. 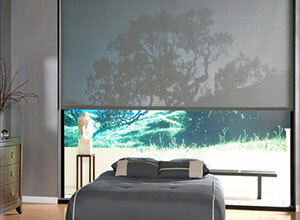 With a wide range of transparency levels solar shades can meet the demands from rooms of every function. If you are seeking more than a plain finish, you can opt for solar shades with striking graphic designs as well as interesting, textured options. The cellular shade, also known as a honeycomb blinds, is a widely-used, affordable way to control the amount of light that comes into a room while also insulating your home from extreme temperatures. The level of insulation provided by a cellular shade is determined by the number of "cells" in the shade as well as the number of pleats. An added benefit to the cell/pleat construction is the minimal amount of space they take up when they are pulled up and not in use. The closed shade takes up a minimal amount of space, in comparison to other blinds, making the most of your view. 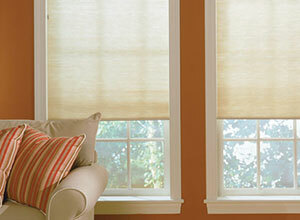 Cellular shades, unless you select a sheer fabric, offer complete privacy when fully covering the window. Part of the popularity of cellular shades rests on the fact that they are easy to size to any window and are easy to install. Although cellular shades do not offer the option of filtering light by tilting/adjusting slats, they do offer a wide spectrum of transparency levels to suit standard and specialty windows. Whether you opt for cellular shades or solar shades, you're making a smart choice by putting your window treatments to work for you. Both shades provide insulation and protection for you and your space. These shades offer noticeable differences in your air conditioning and heating bills. Your final choice will, ultimately, come down to personal preference.  If privacy is a main concern, cellular shades may be the right choice for you. If being able to enjoy the view while still being protected, solar shades may provide a better fit. Depending on your climate, the orientation of your windows and how each room is used, you may opt for a mix of the two shades throughout your home.